Azaleas and rhododendrons are the mainstays of woodland gardens. There are hundreds of varieties to choose from, ranging from ground covers to towering shrubs. 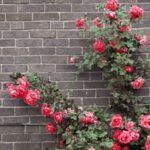 They’re naturally well formed, requiring little in the way of pruning and shaping, and their foliage is beautiful, bringing them to the forefront of any garden even when they are not in bloom. In spring, they’re stunning, with their masses of blooms in shades of white, gold, pink, red, and blue. Red azaleas add spectacular color to a garden. Azaleas (shown at right) are technically a type of rhododendron, but for all intents and purposes they’re treated as a separate plant group. Azaleas generally are smaller and sturdier, with smaller leaves and flowers. Varieties range from low-growing spreaders that can be used as ground covers to compact plants that do well in containers to tall hybrids that can double as small trees. The most familiar azaleas are the evergreen hybrids, some of which are sold as florists’ plants. There are a number of classes or groups of hybrids that have been developed over the years for specific climates and growth conditions. Belgian Indica, Brooks, Gold Cup, and Rutherfordiana hybrids do best in mild regions. Southern Indica hybrids can take more sun than most azaleas, while Kaempferi hybrids can handle temperatures down to -15 degrees F. Color choices are being refined, but most evergreen azaleas bloom in shades of white, pink, red, and purplish-pink. To be sure of color, buy plants when they are in bloom. Deciduous azaleas provide color twice a year; their bright gold, orange, pink, and red flowers stand out in spring, and their foliage is equally brilliant in fall. Deciduous azaleas are generally hardier than their evergreen cousins—for example, Northern Lights hybrids can handle temperatures as low as -45 degrees F. If flower color is key, buy plants in spring; if foliage colors are important to you, choose plants in the fall. Azalea species can also be found, though they are grown less often. The most well known include the torch azalea (Rhododendron kaempferi, a parent of the Kaempferi hybrid) and the snow azalea (R. macronatum). Azaleas are the more adaptable of the two plants. They can be grown along most of the West Coast and into eastern Washington and Idaho; there are even some small areas in Utah and Colorado where they’ll thrive. Their growing range in the eastern half of the country is even larger, stretching from Maine to Michigan in the north and from central Florida to Texas in the south. Not all varieties will grow in all places, but you’re sure to find plants that will work in your garden. Rhododendrons (shown at right) can be a major focal point in a garden. Many of them are both large and bushy, though you can also find low-growing and dwarf varieties. Rhododendrons in bloom are covered with masses of large flowers in shades of white, yellow, pink, red, blue, and purple. If you live where rhododendrons do well, you have your choice of hundreds of varieties. In marginal areas, your choices are more limited, but there are options. Ironclad hybrids are ideal for cold-winter climates, while Vireyas are tropical plants that need frost-free conditions. If you’re buying from a nursery, you’ll probably find the best selection when plants are in bloom. Not only is this a good time to plant but it’s also the best way to tell the flower color is what you want and that the plant is healthy and a good shape. If you want to mail-order a plant, catalogs and websites generally give complete descriptions, but be aware that images may not reproduce the flower color exactly. Rhododendrons thrive in fewer parts of the country than do azaleas, but where they do grow they are spectacular. The Pacific Northwest and along the northern California fog belt are two prime locations. In the eastern United States., rhododendrons do well along the coast from Maine to northern Virginia and grow inland as far west as the southern Great Lakes and south along the mountains to northern Georgia. Hardier rhododendrons are being grown from Ohio to Illinois and through southern Missouri to northern Louisiana, Mississippi, and Alabama. In the west, these same rhododendrons are making appearances in gardens in the Central Valley of California, around Salt Lake City, and near Denver. Like most plants, azaleas and rhododendrons do best when planted during mild weather rather than extremes of hot and cold, making spring and fall the best planting times. The right location is also essential. A spot in filtered sunlight and sheltered from cold winds is perfect. Don’t crowd the plants; they need air circulation. 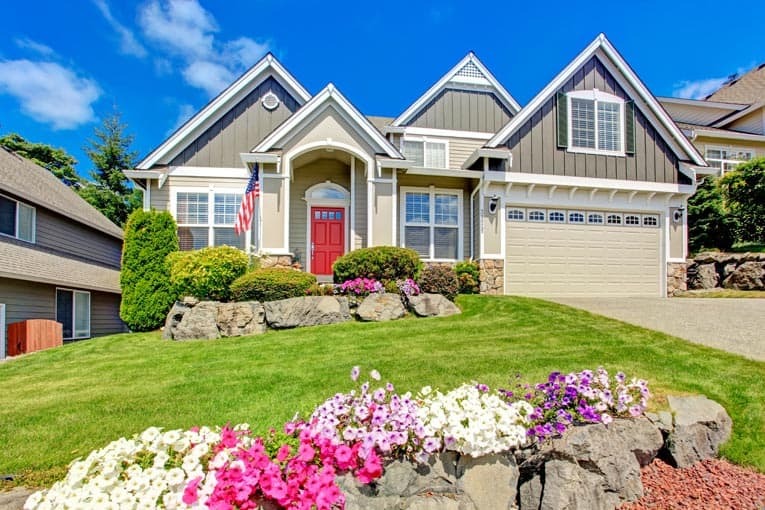 While these plants like the shade neighboring trees can provide, trees with shallow roots or that are densely covered with leaves, such as beech, birch, elm, maple, poplar, and sycamore, can compete for water or cast too much shade. Around these trees, plant just outside the drip line to avoid both competition from roots and too dense a canopy. Soil is also key. Azaleas and rhododendrons do best in acidic soil. They also have the contradictory need for soil that can provide regular constant moisture while still draining well to prevent root rot. In addition, they prefer more air around their roots than most plants. To meet these requirements, be sure the soil is rich in organic matter; you may need to amend it before planting. If your soil is too heavy, clay-like, or alkaline, consider planting in a raised bed. 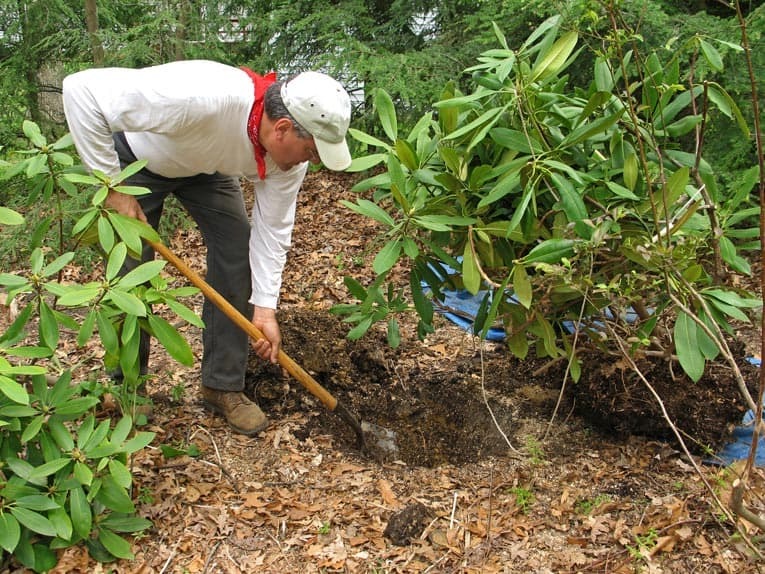 When planting a rhododendron from a container, dig a large hole and replace with the soil you removed. To plant from a container, dig a hole almost as deep as the soil in the container and twice as wide, tapering the sides outward as you dig. Build a small mound in the center of the hole. Remove the plant from the container and place it on the mound; the crown of the plant should be about 1 inch above the adjacent soil. Spread out the roots and then begin to fill in the hole with the soil you dug out, firming it as you go. When finished, form a watering basin around the plant and water gently, adjusting the plant’s height as needed. If planting a bare-root plant, first soak the roots for four hours. Dig a hole as you would for planting from a container. Form a mound in the center; the crown of the plant should sit about 1 inch above the adjacent soil. Put the plant in place, checking that the height is right (fill in with soil if the plant is too low), and then spread the roots out around the mound. Holding the plant in place, add the soil that you dug up, firming as you go. When almost finished, gently water. If the plant settles, add additional soil beneath it to bring it back to the proper height. Finish filling in the hole, and then build a watering berm around it and water gently. 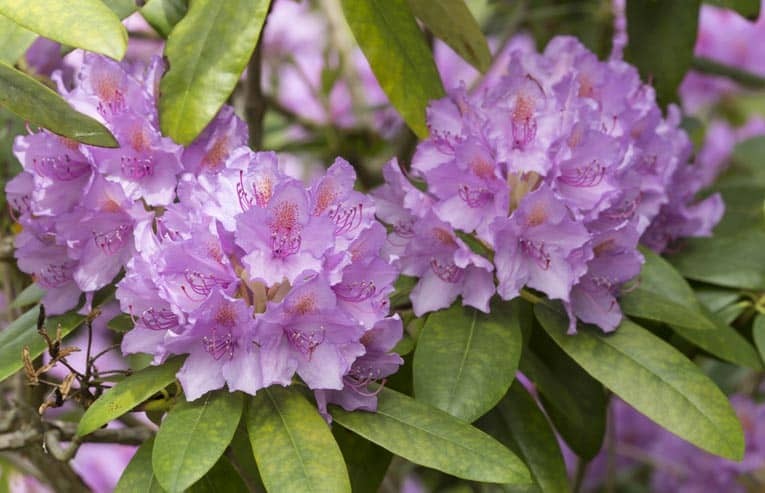 Purple rhododendron provides dense foliage and rich color. Regular and consistent watering from spring through fall is the most important requirement for azaleas and rhododendrons. If regular summer rains don’t provide enough water (you’ll know if the leaves begin to wilt), you’ll need to supplement it. Use drip irrigation, or let the water run slowly into a watering berm. Watering slowly allows the moisture to penetrate the soil deeply so it reaches all the roots. It also helps leach out salts, a cause of burned leaves, and prevents root rot. Let azaleas dry out a bit in fall before winter sets in, but continue to water rhododendrons. Adding a mulch of pine needles, oak leaves, or fir bark around the plants will help retain moisture. 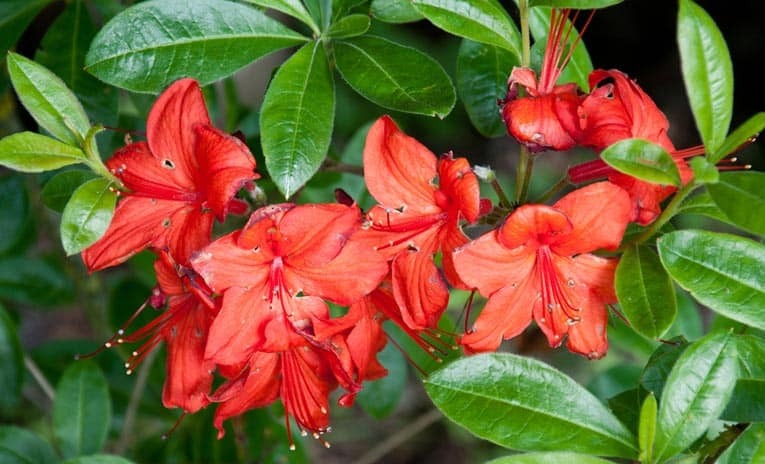 Regular feedings with a complete fertilizer or one formulated for azaleas and rhododendrons will also help keep plants in good health. Fertilize in early spring and then again as the blooms start to fade. Add compost over the top of the soil in fall to add nutrients. Healthy rhododendrons and azaleas are fairly pest-free, and those problems that do develop can usually be easily mitigated. You’re most likely to have problems with leaf miners, root weevils, and thrips. Look for low-toxic insecticides to control these before they get out of hand. For aphids, lace bugs, mealybugs, and scale, use insecticidal soaps or horticultural oil. Diseases can vary, depending on where you live. Root rot is one of the most common problems; solve this by providing fast-draining soil. If mildew is a problem, make sure there is plenty of air circulation around the plants. If you’re in an area where conditions make your plants particularly prone to mildew, plant resistant varieties. Petal blight is an occasional problem. Botrytis petal blight, which starts with water-soaked spots that become dry and fragile, can be controlled by an appropriate fungicide. Azalea petal blight, which rhododendrons can also get, starts with water-soaked spots and can result in slimy petals. To keep the blight from spreading and restarting, remove all infected flowers. Neither azaleas nor rhododendrons need much in the way of pinching or pruning. Pinch the tips of young azaleas and rhododendrons to encourage bushiness. Evergreen azaleas especially should be pinched just after they finish blooming to keep them compact. 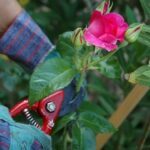 You’ll want to prune to remove any damaged branches, or to open up the plant to allow for more air circulation. Start at the bottom and inside, and then work your way out and up. Remove any weak or crossing branches and any that are diseased or dead. 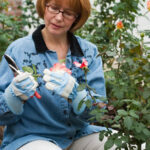 Remove about one-third of the healthy foliage if plants are overgrown. Evergreen azaleas can be pruned at any time, but you’ll usually only need to do it to remove an occasional wayward branch. Deciduous azaleas should be pruned when they are dormant, but after any danger from frost. 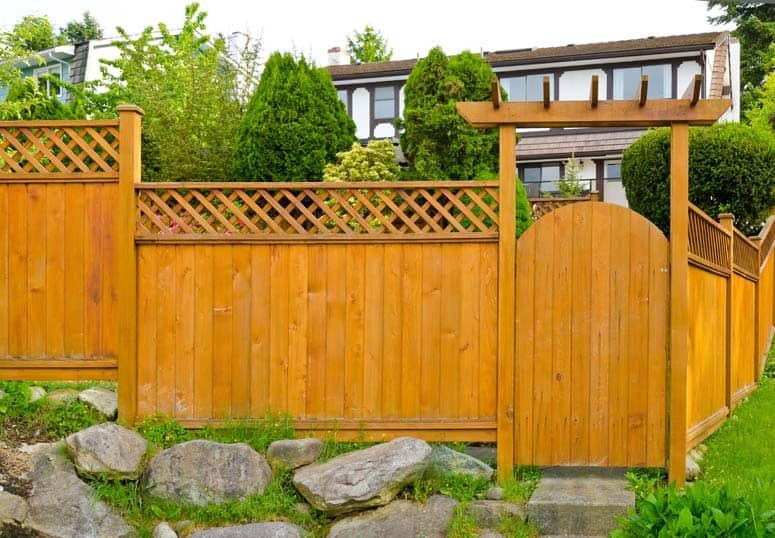 You can remove branches at any time, but do more extensive pruning of rhododendrons in late winter or spring, as long as the weather is above freezing. Bear in mind that doing so right before the plant blooms will lessen the number of flowers. Cut back to a side branch, a cluster of buds, or a leaf. 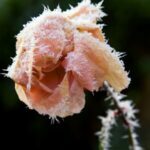 Azaleas and rhododendrons can be harmed by cold weather, especially when accompanied by strong sun and wind. Protect tender plants with a windbreak. In areas where the ground freezes, mulch the root area once that has happened. Remove the existing mulch and add a new layer once the danger of frost has passed.